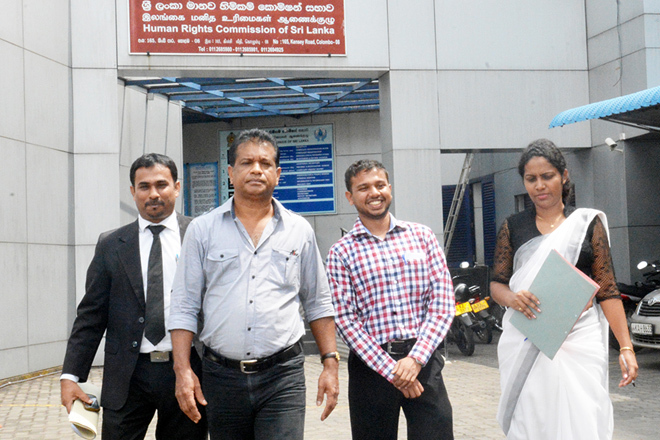 The Eastern People’s Voice and the JVP have filed a complaint at Human Rights Commission today regarding the violation of fundamental rights of people who have been distressed due to Sampoor Powerhouse Project. Political Bureau Member of the JVP K.D. Lal Kantha represented the JVP and the convener of Eastern People’s Voice Arun Hemachandra was present on behalf of Eastern People’s Voice.